If you can fit one more thing into your busy weekend, Paul Bunyan Days is the perfect time to discover a model railroad that brings the region’s logging history to life. After two and a half years of construction in the Carpenter’s Barn of the California Western Railroad’s Skunk Train, the model railroad display opened to the public. They’re open every day 10:30 – 2:30. Admission is $5 for adults and $3 for kids. 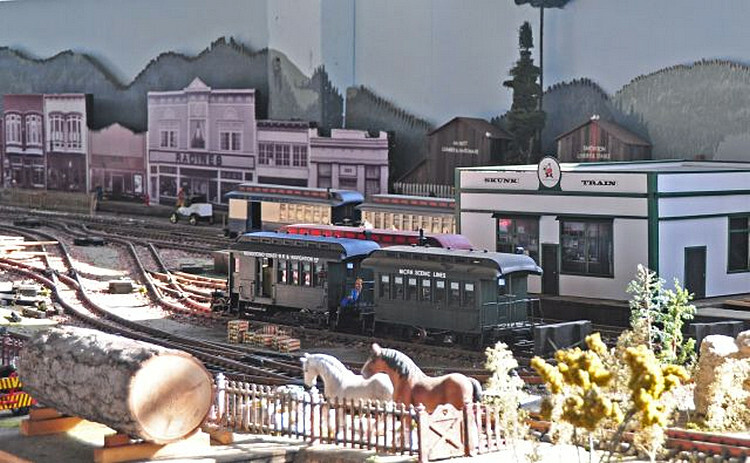 The Mendocino Coast Model Railroad and Historical Society have created a living history of the Redwood Empire in their large (G) scale model railway as a testament to the loggers and railways that fed the mills on rivers between Gualala and Westport in Mendocino County. 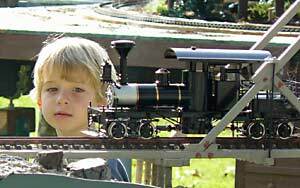 Walk around the large G-Scale railroad’s 6 scale miles of track; notice the lumber mill, logging camp, historic town, pier, bridges, trestles and more as they recreate a logging railroad that might have existed along the Mendocino Coast between 1880 to 1940. Steam was still king during this period with diesel power just entering the scene; this allows the ‘boys’ to run a unique collection of steam model locomotives on special occasions – such as Paul Bunyan Days weekend. 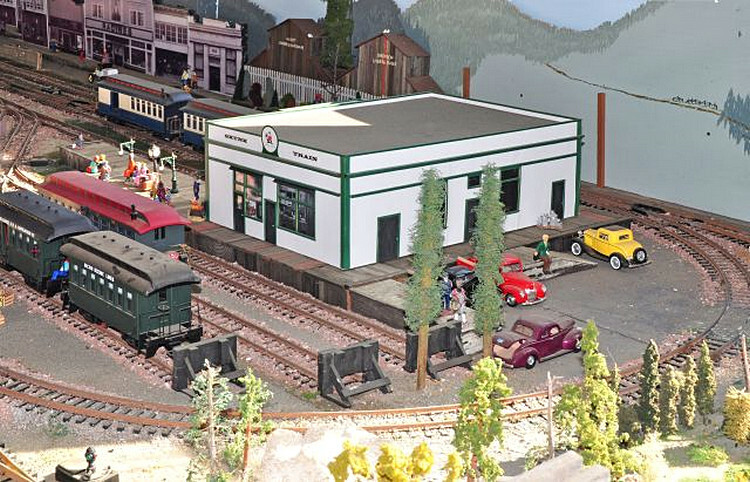 The model railroad is located near to the Skunk Train Depot in historic downtown Fort Bragg. Enter through the gate in the cyclone fence at the north end of the Skunk Train’s west parking lot; you’ll find the model railroad in the white building with large green doors. Find out more about the model railroad display, the people who created it and the history of the region’s railroads on their website: www.mendorailhistory.org.